One of the benefits (and detriments) of YouTube has been the proliferation of information. More than ever, it is easy to transmit and share information through a variety of mediums. In fact Social Networking has long surpassed email as the most popular medium of online communication. One the more popular video genres on YouTube are the what I call the statistical videos. The “Did You Know” videos went viral as the eye popping statistics are always fun to share and read about. Though be aware that some of the newer videos are spoofs and contain fake data (though to their credit they acknowledge it in the end). 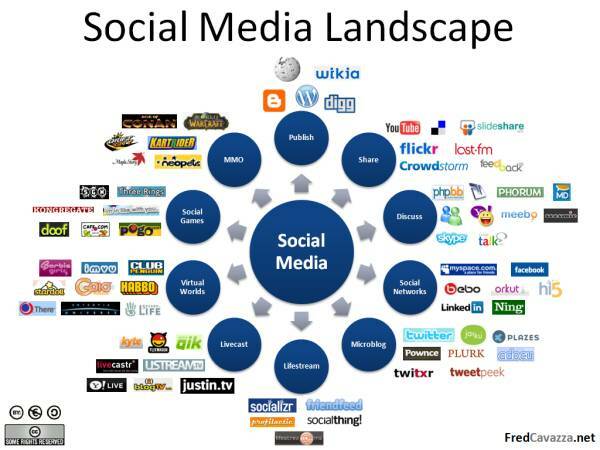 Socialnomics Videos – Is Social Media a Fad? The video below is a similar statistical video covering the growth and impact of social media. It asks the question, is social media a fad? This message probably targets business and companies that often debate whether allocating money to social media is worth the costs. Then it follows by bombarding you with the incredible growth and impact of social media on our every day lives. I’ve also compiled some social media statistics from other sources below. Sorry – The video was made “private” due to copyright issues socialnomics is having. But please do check out the LATEST socialnomics video here! To be clear, Social Media isn’t just Facebook and Twitter. It includes a whole network of sites where users can interact with one another whether it is by sharing information or discussing various topics. Some of the more popular social media sites that you may not at first consider to be part of this group are sites like Digg (Share Links & News), Stumbleupon (Share & Discover Websites), Delicious (Share Favorites), Wikipedia (Share Information), Flickr (Share Pictures), Blogging (Share Anything), YouTube (Share Videos), Linkedin (Professional Social Network) and so on. As you can imagine, social media has grown tremendously and has changed the landscape of information exchange and communication. Time Spent on Social Networks growing at 3x overall internet rate. Hope you enjoy the social media statistics video! Please share your thoughts below. What is your reaction to the rise of social media? How much do you use Facebook, Myspace, Twitter? Do you Blog? Do you feel Social Media is a fad or it is here to stay? Where do you see Social Media Going? Speechless! Get on board or be left at the station! It’s here!